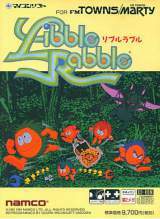 Libble Rabble © 1994 Dempa Shinbunsha. Released in March 1994 in Japan. Retail price: 9700 Yen.